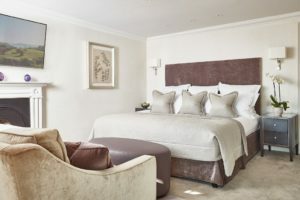 Three large L-shaped bedrooms located on the first floor of the main house, each offering its own stunning views out over Lake Windermere and the front gardens, each being decorated with its own style. 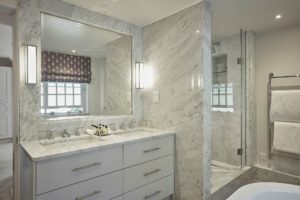 All three rooms have beautiful bathrooms with baths and sinks set into Carrara marble surrounds with separate walk-in showers. A prime position overlooking the front of the house, Rydal Water is a firm favourite with many of our regular guests. Decorated in soft silver with highlights of sea grass, the bedroom has an emperor size bed and separate dressing area which leads into a stunning Carrara marble bathroom. 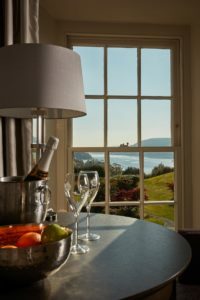 There are two large windows; one overlooking Lake Windermere and front gardens, the other looking towards the woodland and garden views. 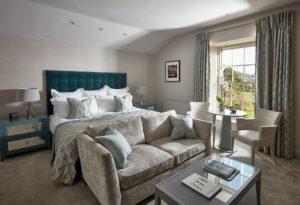 This bright, airy bedroom takes pride of place at the front of the main house. Three south-facing picture windows offer spectacular views out across England’s largest lake, Lake Windermere. 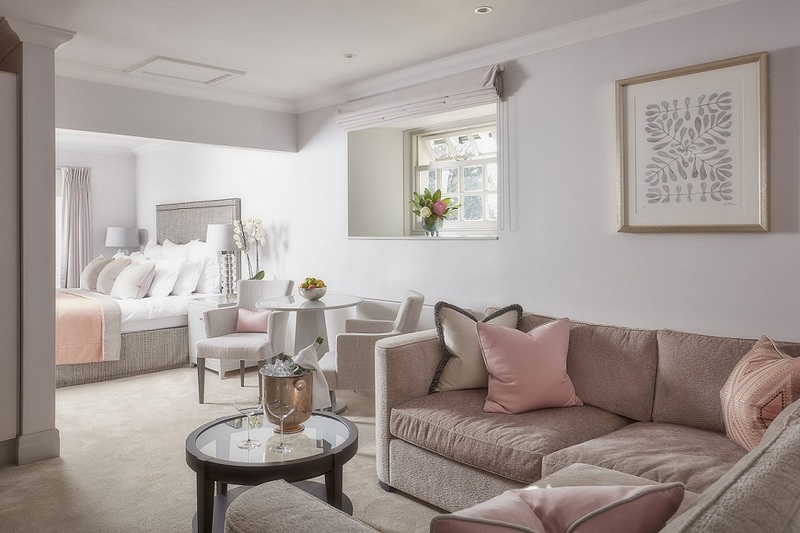 The room is decorated in complementary colours of soft grey with hints of dramatic black and soft pinks. 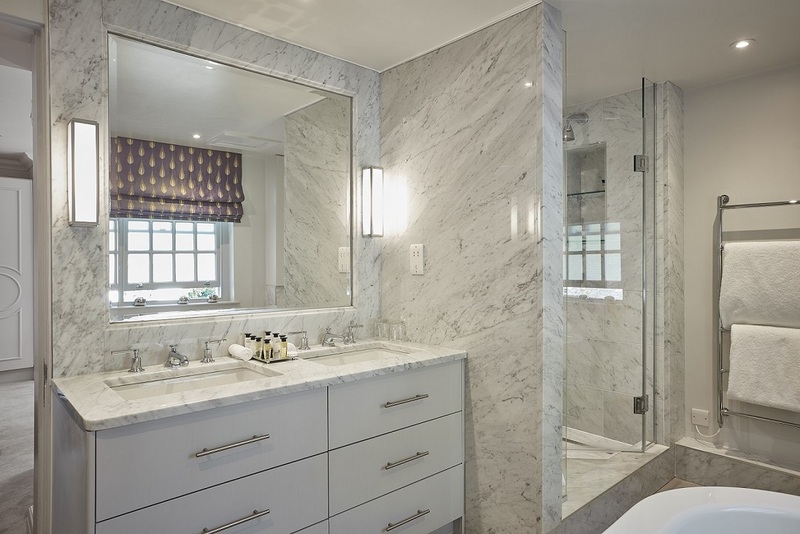 The bedroom has an emperor size bed and the bathroom has a separate shower and sunken bath. 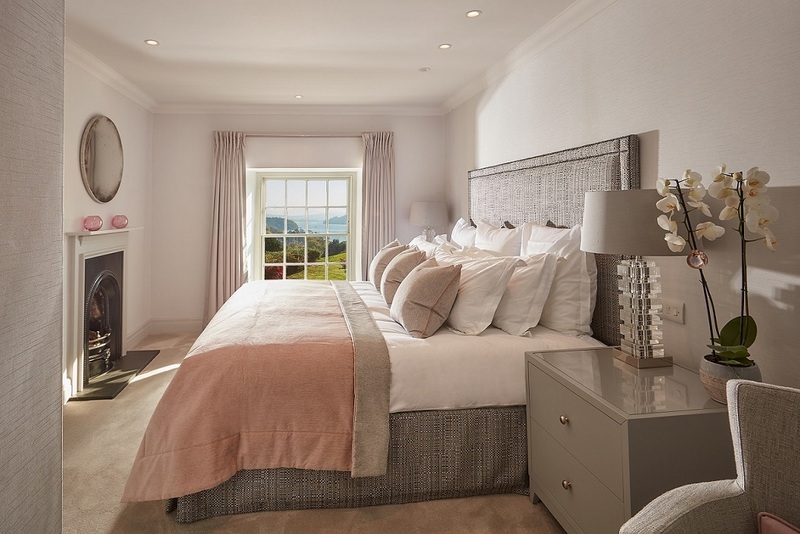 Thirlmere enjoys stunning views over Lake Windermere, while a second window faces west with a lake view and the Langdales. The seating area offers a large comfortable corner sofa. The bedroom is situated at the front of the house that boasts an emperor size bed and is decorated in calming silvers, mauves and lilacs. The modern free standing bath gives a contemporary twist to the bathroom which also enjoys a double vanity unit and spacious shower. We're going to be busy in 2019 - sign up for our newsletter to hear about what happens next.